Homeowners in Bloomfield CT and across Hartford County turn to Northeastern Chimney to service their fireplaces, chimneys, and venting systems. If you live in Bloomfield CT, Avon CT, Farmington CT, Newington CT, Simsbury CT, or West Hartford CT, you can trust in us for all of your hearth or venting needs. We hire only CSIA trained & certified chimney sweeps that provide top-of-the-line chimney sweep services like chimney inspections, chimney cleanings, chimney repairs, chimney relinings, chimney restorations, tuckpointing, and chimney masonry repairs. Since 1984, Northeastern Chimney has been providing the residents of Bloomfield CT with quick & reliable chimney sweep services. We have a high standard of workmanship and will always provide homeowners with a written estimate and a full explanation of recommended repairs or maintenance. Our bright & distinctively-marked company trucks can be spotted on Rt 218, Rt 187, Rt 189, and along Woodland Ave & Simsbury Rd as they travel on their way to service chimneys in Bloomfield CT. We’ve become the favorite chimney sweep of choice since our crews always complete work to the top industry standards and ensure that all jobs are done correctly, quickly, and cleanly. Our workmanship, dependability, and fair prices are only a few reasons why we have so many returning customers. We only employ CSIA certified chimney sweeps, and our company is fully insured to work on your home. Our crew will always arrive on time, in uniform, and in a clearly marked company vehicle so you can rest assured that your repairs or maintenance services are completed by trained professionals. All of our work is completed to the highest of industry standards, which is why we have maintained thousands of satisfied customers who have come to us year after year and even recommend us to their neighbors, friends, and family. We remain as members in good standing of the Nation Chimney Sweep Guild (NSCG) which is why we are able to stay current with all industry standards, new products, and best safety techniques. Know before you hire! Since the safe operation of your chimney & venting system is extremely important to the safety of your home & your family, it’s important to know who you are hiring before you let anyone work on your chimney or fireplace. The chimney sweep industry has been affected by fake chimney sweep “contractors” who attempt to scam homeowners out of their hard-earned money. They offer extremely low prices for common chimney sweep services like a cleaning or inspection in hopes of getting hired for the job. 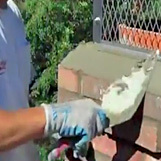 Once on the job, they attempt to upsell the homeowner into expensive chimney repairs which may not even be necessary. If the homeowner doesn’t agree, they perform a quick and seriously inferior job which can leave the functionality of the chimney and the safety of the homeowner at great risk. In reality, they may not have even performed a full and thorough inspection or cleaning at all. Before you agree to any high-cost chimney repairs that you are unsure of, contact a highly-reputable chimney sweep service that receives great ratings and does business with people you know. Let them give you a second opinion to help you understand what’s really going on in your chimney or venting system. Bloomfield CT Chimney Contractors assist homeowners with maintaining the safe operation of their fireplaces, stoves, inserts, chimneys and venting systems. Trust in the pros at Northeastern Chimney to deliver the service you deserve.